Graphic Enterprises’ successful Learn-at-Lunch education series returns March to July, 2014, focusing this year on solutions. As a good business partner, we want provide you with free educational lunches that will help you make decisions on the best copier and printer solutions for your business. We will cover topics ranging from cost accounting that can help your business cut document costs, to workflow basics that will help increase productivity. These sessions will help your business make the most of your Konica Minolta copiers and printers. And, since we know you are busy, the topics are covered over the lunch hour from 11:45 a.m. to 1:00 p.m. This basic course will introduce you to the concepts of cost accounting, including Print Management, Document Cost Control and Recovery. You will learn how to overcome the challenges you face with your current manual processes to account for and reduce associated document costs. This introductory course will help you become more familiar with the concepts of document scanning and capture, including document transformation and routing processes. It will help you overcome any challenges you might be facing with current projects related to reducing paper in the office. The concepts of managing the many documents you deal with on a daily basis will be introduced in this course. Learn how to more easily organize it all and increase productivity. The basic concepts of document workflow, including OCR, document processing and transitioning of a document from one process to another will be discussed in this introductory course. Learn the concepts of variable data and personalized printing processes in this introductory course. You can expand your business by quickly creating highly-targeted, professional communications with personalized text and pictures. All Learn-at-Lunch classes are held at Graphic Enterprises’ corporate headquarters at 3874 Highland Park NW, North Canton, OH, 44720. If you have questions regarding the education series or how we can help with your copying and printing needs, please contact us. The kids have headed back to school and so have we! Teachers are often unsung heroes, which is why we started the Graphic Enterprises Teacher of the Month program this past year. Each month, October through May, we recognize one educator in the Canton City School District and one in the Champion Local School District. The great part of this program is that the teachers are nominated by their peers, the people in the schools that see their excellence on a daily basis. Denise Dennewitz, our marketing director, recently had the pleasure of going to the schools and surprising our first two Teachers of the Month for 2013-2014. It’s a rewarding experience to go into the classroom by surprise and present the award to the teacher. In addition to the award, we present the teacher with a banner, prize package and recognize them on our website, social media and radio stations in their school district. Without further ado, our first Teacher of the Month in the Canton City School District for 2013-2014 was Mrs. Jacki Power. Mrs. Jacki Power is an energetic, hardworking teacher at Timken High School in Canton, OH. She is always eager and willing to pitch in and support any activity, project, or initiative on campus. In addition to teaching three levels of Broadcast Media, she serves on the Homecoming Dance Committee, PBIS Committee, as Skills USA co-advisor and is the producer for Channel 11 TV. She is a great role model and mentor to all students, but especially her Broadcast Media students. Mrs. Power received her Bachelor of Science degree in broadcast journalism and her CTE Teaching License from Kent State University. She is currently working on her master’s in education in curriculum and instruction, with a concentration in education technology and on-line learning. Thank you Mrs. Power for being an outstanding educator, inspiring and touching the lives of the students at Timken High School! Our Learn-At-Lunch Series continues to be both successful and beneficial to the many participants from area Canton and Akron businesses. At our most recent event, attendees enjoyed a terrific lunch and learned how to print from their Android-based devices to compatible Konica Minolta bizhub multi-function printers. Finally, the price cannot be beat—free from the Google Play Store. We wrapped up our most recent session with an overview of the Sharp AQUOS BOARD, an interactive large-screen display that provides even more options when connected to a multi-function printer. Simply scan a document with your MFP and import the image to the display. Use the AQUOS display to write directly on the image, save it to a PC and print the marked-up data from the MFP. Great for collaboration during meetings. June 12, Production Printing. Learn more about the new equipment and technology in the print production world, featuring color management, production and wide format printing. July 10, Managed Print Services. Learn how Graphic Enterprises can help you reduce the cost of desktop printing in your business. August 7, Creative Color. Are you still outsourcing your print jobs? Create your own flyers, postcards and banners for a fraction of the cost. If you are a business owner in the Youngstown or Western Pennsylvania areas, we can help with all your printer and copier needs as well. Contact us today! For the past several years through our Banners for Troops program, Graphic Enterprises has been printing banners at no cost for people in Stark, Summit and surrounding counties who are welcoming home a loved one from military service. Because we are so grateful for the sacrifices veterans have made on behalf of our nation, we recently created a Military Wall of Honor at our headquarters in North Canton, Ohio. Within our organization, we were ready to take recognition of military service among our own employees and their families to a higher level. Our Wall of Honor displays photos of employees and/or a family member who served, as well as brief information about the length and nature of service. Since the dedication on June 19, 2012, this display has been a popular stop on tours of our facility. Each photo that has been placed on the Wall of Honor has a unique and compelling story. One story is about an employee in our sister company’s Toledo office whose family service extends three generations. John Cassidy III has been part of our company for 24 years and is currently a service manager for copiers and printers throughout a 14-county service area in Northwest Ohio and Southeast Michigan. From 1981 to 1985, he served in Korea with the United States Army and at a remote site in California that was part of Fort Ord. 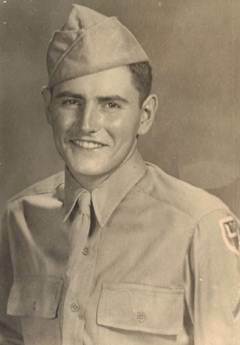 His father, John Cassidy Jr., was part of a 2,700-man, all-volunteer U.S. Army unit in the Pacific during World War II. Together with other Allied forces, his unit fought Japanese troops in close combat to gain control of Burma, a strategic island because of its airstrips. During his time on the island, he earned two purple hearts and was sent home after a landmine caused injuries to both legs. He returned to civilian life and worked for the Chrysler Jeep plant near Toledo for 44 years. John Cassidy Jr. is now 88 years old. Army Specialist Adam Cassidy, our employee John’s son, spent 18 months in Mosul, Iraq. He was wounded and received a medical discharge. 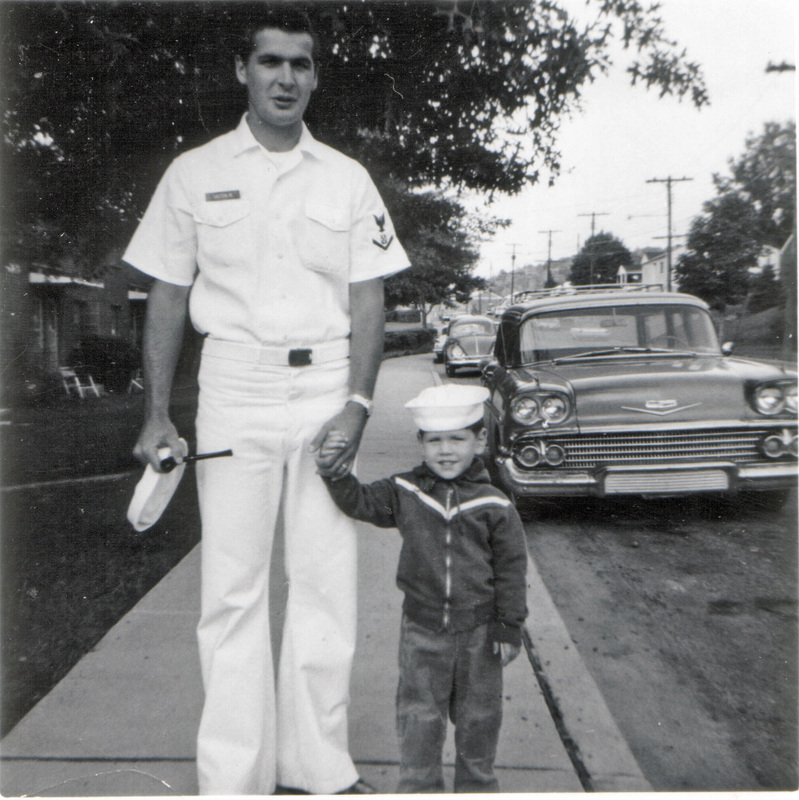 “I am very proud of both my father and my son, and we are all gratified to have been part of our country’s military,” says John Cassidy III. I, too, am proud to be part of a company that pays homage to the men and women who defend our freedom both here and abroad. Here are two other great photos that are included on the Wall of Honor. Army Sgt. Jennifer S. Rader, daughter of service tech Mark Rader, former Army Sgt. I believe the men and women of our military deserve honor and admiration for the sacrifices they make every day on our behalf and on the behalf of our nation. They risk their lives to protect us and endure difficult living and working conditions so that we may enjoy our freedom. My son is currently serving in the United States Marines, and my wife and I are very proud of him. I look forward to the day when we will welcome him home to Stark County. If you have the privilege of welcoming home a military family member in the near future – perhaps a spouse, child or sibling – then Graphic Enterprises would like to help you do that in a noteworthy way. At no cost to you, we will create and print banners you can take to a homecoming reception to show your support of your loved one. 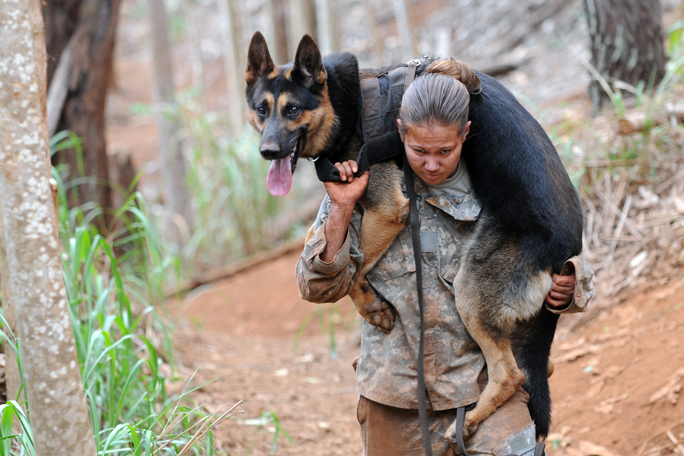 It’s our way of thanking him or her for service. Again, the banners for the troops are free for military families. Each one is made of 11-in. by 40-in. card stock and printed on our multi-function printers. Please allow two to three days for us to produce the banner, which must be picked up at our offices. We are conveniently located near the Akron-Canton Airport at 3874 Highland Park NW in North Canton. To order, I recommend sending an e-mail to banners@geiohio.com. You can also call Denise Dennewitz at 330-491-2975. She’ll be happy to assist you. Click here for more information! As a valued customer, we want to be sure you’re getting the most out of your Konica Minolta copier. So, we’re bringing back our popular Learn @ Lunch program, a series of free seminars on how to use all the unique features of your copier/printer, as well as to learn what new options are available for scanning, document management and managed print services. Denise Dennewitz, our marketing director, will tell you more about this exclusive copier training opportunity for Stark, Summit and surrounding counties that only Graphic Enterprises offers. In 2011 we will offer six free multi-function copier training seminars in our Learn @ Lunch series. All seminars are scheduled on the third Wednesday of the month at our North Canton facility and run from 11:45 a.m. to 1 p.m. The best part is that each one features a catered lunch at no cost to you! However, seating is limited, REGISTER ON LINE to reserve your place. May 18: Scanning and Document Management. Learn how to better organize and retrieve your documents while minimizing paper usage. June 15: Creative Color – Flyers, Posters, Banners and More! Discover how your copier/printer can make handling print jobs easier and more cost-efficient in-house. July 20: Managed Print Service/OPS. Find out what managed print services is and how it can save you money on printing, toner and other supplies, and copier maintenance. August 17: Color for Churches. If you are responsible for the copier at your church, learn how your multi-function printer can help you stretch your budget for bulletins, banners, flyers, postcards, raffle tickets and more. September 21: Document Management for Business. Discover how to simplify your workflow and improve office efficiency! We’ll show you how to capture, organize, store and retrieve your information quickly and easily. October 19: Why Scan? Walk through the scanning process and benefits – including faster audits, increased security and your peace of mind! Following each Learn @ Lunch seminar, Graphic Enterprises will offer a facility tour so you can meet our staff. These classes are free and open to anyone interested. For more information or to make a reservation, call 330-491-2975.